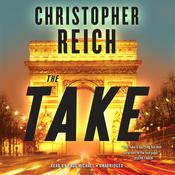 International spy Simon Riske returns in New York Times bestselling author Christopher Reich's new high-stakes thriller. Monte Carlo's most lavish casinos have become the targets of an efficient, brutal, and highly successful group of criminal gamblers; a casino dealer has been beaten to death; a German heiress's son has been kidnapped. Who better to connect the crimes, and foil the brilliant plot, than Simon Riske, freelance industrial spy? Riske - part Bond, and part Reacher - knows the area well: it's where as a young man he himself was a thrill-seeking thief, robbing armored trucks through daring car chases, until he was double-crossed, served his time, and graduated as an investment genius from the Sorbonne. Now Riske is a man who solves problems, the bigger and the "riskier" the better. From the baccarat tables of the finest casinos to the yachts in the marina, to the private jet company that somehow ties these criminal enterprises together, Simon Riske will do what he does best: get in over his head, throw himself into danger, and find some way to out-think and out-maneuver villains of every stripe. One of the most enjoyable, clever, and entertaining new series to come along in years, this sequel to The Take gives readers what they desire most: a hero we can root for, locales we wish were in, and a plot that never lets up. 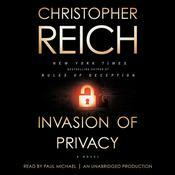 International spy Simon Riske returns in New York Times bestselling author Christopher Reich's new high-stakes thriller. 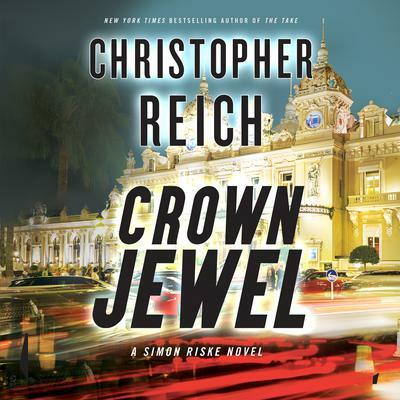 Monte Carlo's most lavish casinos have become the targets of an efficient, brutal, and highly successful group of criminal gamblers; a casino dealer has been beaten to death; a German heiress's son has been kidnapped. Who better to connect the crimes, and foil the brilliant plot, than Simon Riske, freelance industrial spy? Riske - part Bond, and part Reacher - knows the area well: it's where as a young man he himself was a thrill-seeking thief, robbing armored trucks through daring car chases, until he was double-crossed, served his time, and graduated as an investment genius from the Sorbonne. Now Riske is a man who solves problems, the bigger and the "riskier" the better. From the baccarat tables of the finest casinos to the yachts in the marina, to the private jet company that somehow ties these criminal enterprises together, Simon Riske will do what he does best: get in over his head, throw himself into danger, and find some way to out-think and out-maneuver villains of every stripe. One of the most enjoyable, clever, and entertaining new series to come along in years, this sequel to The Take gives readers what they desire most: a hero we can root for, locales we wish were in, and a plot that never lets up. 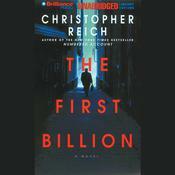 Christopher Reich is the New York Times bestselling author of Rules of Deception, Rules of Vengeance, Rules of Betrayal, Numbered Account, The Devil’s Banker, and many other novels. 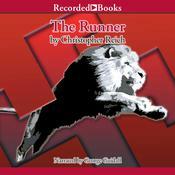 The Patriots Club won the International Thriller Writers Award for Best Novel in 2006.